I spent four years of my life living in Tempe, Arizona while attending Arizona State University. I tried my hardest to take advantage of everything the Valley had to offer while I was living there, in between getting an education, of course! So here are my top 5 frolicking spots to check out when visiting the Phoenix area! 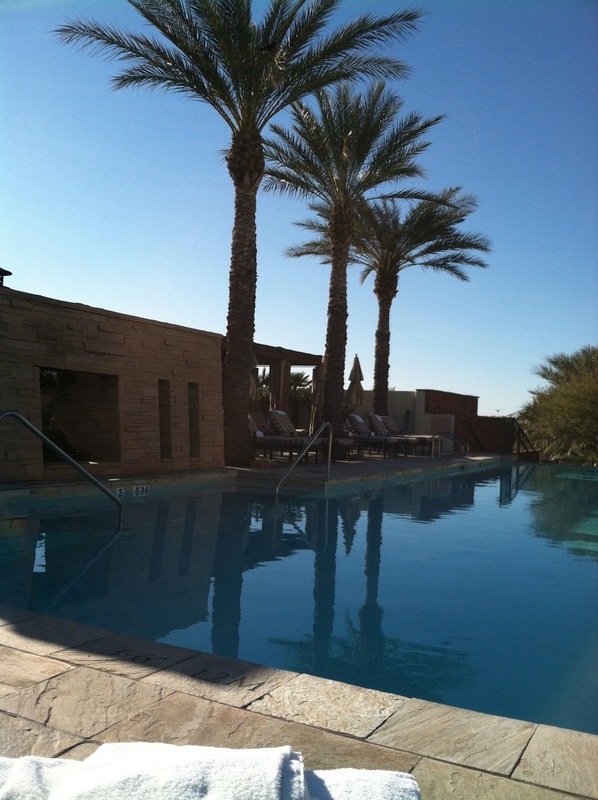 Located in Northern Scottsdale, the Willow Stream Spa is the perfect escape for some R&R. I just went back there in February (after being away for almost a year) and they've gone under some major changes, which I can't say I've completed adjusted to yet, but it is still the best place to be. With a gym, a rooftop pool, amazing services and a bunch of other hidden gems, you'll just have to find out for yourself, why this is one of the best spas in the country! Make sure to check out their website before going to look into deals and Spa Week Specials! After a day of R&R, you'll be in need for some activity and I have just the place for you to go, Fort McDowell Adventures for their Horseback Riding trail. I have to say that this was one of the best trails I have been on. I originally found out about them through a friend who saw a deal on Groupon, and when I called them to confirm the price, they told me I didn't even need to use Groupon, they would honor the price. The next best thing is that it ended up being a private tour, just me, my guest and the guide! We rode through the desert, gorgeous landscapes, right under an eagle's nest, and then alongside a river and then IN THE RIVER (so cool! ), and the ride was completed with seeing actual wild horses! It was so interesting seeing the horses stare at each other. It was such a magical ride! Nothing but positive things to say about this tour, two thumbs way, way up! Once the ride is over, you'll probably be hungry. Well, less than five minutes down the road from Fort McDowell Adventures is the Fort McDowell Casino and they have a variety of fantastic all you can eat buffets, but my favorite is the snow crab leg buffet! If you join their player's club you get a discount on the meal, and during the week it's only $10 with your Fortune Club Card! Such a great deal especially if you love crab legs the way I do! Despite the heat that Phoenix is known for, they also have a great reputation for hiking! Regardless of what your level of hiking expertise may be, there is a mountain for you. The first place most people hear about is Camelback Mountain, and that is because at a distance the peaks of the mountains give the illusion of a camel's back! However, if you are not an avid hiker nor do you enjoy rock climbing, this is not the mountain for you. Stunning views and a work out is what you will get from Camelback. Some other options you can choose from are South Mountain, Squaw Peak, 'A' Mountain and many others, these are just the few I've tried out. I recently hiked Squaw Peak and really enjoyed it, not too difficult, plenty of rest stops and great views. There are different parts you can hike on South Mountain and there's even horseback riding there as well. 'A' Mountain is right by Arizona State's Tempe Campus and the famous Mill Ave District. A very easy hike and a great place to go to watch the sunset. Back in 1937, Frank Lloyd Wright began building his home in Arizona and today you can go there and tour his masterpiece. If you are a fan of architecture, history, or art this is a must-see place for you! This house is absolutely incredible and a definite tour to take! They even have tours that go beyond the house as well, so check out the website prior to going and you can choose which one suits you the best. This was one of the first places I visited when I moved to Arizona, definitely a tourist thing to do but sometimes it's mandatory to mix the native with the tourist! Lake Powell is a wonderful and scenic place to spend the day or a few days while visiting the Valley. It is a bit of a drive north from the main attractions in Phoenix but totally worth it. There's hiking, boating (if you don't have your own boat, you can rent one), fishing, the activities are endless. A great place to camp out if that's your thing! There's wildlife all around you to see... including some creatures to see in their gift shop. Depending on which area of the lake you go to will help determine which activities are at your disposal. It is just a wonderful place to spend the day frolicking outdoors and enjoying Mother Nature. Depending on what the goal of your vacation to Phoenix, Arizona is, whether that'd be just getting some R&R, very active, or a mixture of the two, I hope my frolicking tips help you in planning your trip! Let me know how you ended up frolicking around one of the many places I call home, the Valley of the Sun.